Click here for more information on Pressure Cleaning Services, including 'Before and After' videos. Click here for information and examples of 'Before and After' examples of our House Washing expertise. And yes, we will clean the walls of your home without removing the paint! Click here for information and 'Before and After' examples on Cleaning Solar Panels. Engage us to clean your Solar Panels and maximise your energy producing efficiency. If at any stage within 2 years of us providing Pressure Cleaning or House Washing services you feel that our clean has lost it's lustre, give us a call and we'll remedy that for you - Free of Charge, no questions asked. *Does not apply to Solar Panels. Mount Gravatt Pressure Cleaning, Lewana Street, Mansfield. Servicing Mount Gravatt and surrounding suburbs Monday to Saturday. 7am to 7pm. Prevent expensive damage to your precious home. Click here for more information on Gutter Cleaning. Mount Gravatt Pressure Cleaning pride ourselves in our ability to give you a result that will exceed your expectations. Whether it is Pressure Cleaning Services for your driveway, pathways, pavers, patio, fences or walls - we will turn your BEFORE into an AMAZING AFTER. We also offer a range of soft wash cleaning services. Utilise our House Washing expertise and we will clean the walls of your home without removing the paint. Engage us to clean your Solar Panels and maximise your energy producing efficiency. to increase saleability and property values. Both my Husband and I were very pleased with the work David did at our home. The difference in all our concrete paths and patio is fantastic, the concrete areas are so much brighter and whiter and after washing the house, screens and patio ceiling the house is looking 10 times better. He was very proffessional, we will definitely be using him again in for future work. David did a great job on my driveway pressure cleaning and also cleaned some areas and walls that were not good. He works with great attention to detail. Quite happy with his work and professionalism. Highly recommend his services. David’s advertising says he gives friendly, reliable service, a job that will exceed your expectations, great value and prompt attention, and it’s all true. He was prompt with his quote and did the job very soon after. He came when he said he would, was unfailingly friendly and positive, and very efficient. He takes pride in his work and he even did some jobs that I hadn’t asked for but that he noticed needed doing, at no extra cost. My deck, stairs, windows and surrounding paving and concrete look great. I have no hesitation in recommending David. David did a fabulous job: our concrete driveway and retaining walls look like new! What a delight to have a tradesman visit who takes pride in his work and does a thorough job. David did an excellent job cleaning the driveway and pathways. He also sealed the concrete around the house for me. I am glad I didn’t do it myself as David is apparently more professional. He answered all my questions patiently and is very punctual and thoughtful. I am more than happy to recommend him to anyone who needs cleaning or concrete sealing services. Thank you David! My husband and I are very happy with the work done at our house - to our gutters, our pool area and other concrete areas around our house. You were a pleasure to deal with and I will definitely use your services again! The driveways and concrete at our complex was recently cleaned by Mount Gravatt Pressure Cleaning and we couldn't be happier. We have 21 townhouses and a ridiculous amount of concrete that hadn't been cleaned since construction 7 years ago. The team from Mount Gravatt Pressure Cleaning arrived on time and were very friendly and professional whilst tackling this huge job. We have had so many comments from the owners, tenants and visitors, we should have done this years ago. I can't thank David enough and would highly recommend this company to anyone who wants a makeover for their house or driveway. Amazing pressure cleaning results that will make your home or driveway look like new. Thanks again David. David has looked after our pressure cleaning needs for many years, both at our old house and now at our current house. We can't recommend David highly enough. He does a first rate job and is 100% honest and reliable. Thank you David. Very efficient and good job completed - great result from the work completed. No hesitation in recommending David to pressure clean paths and driveways. 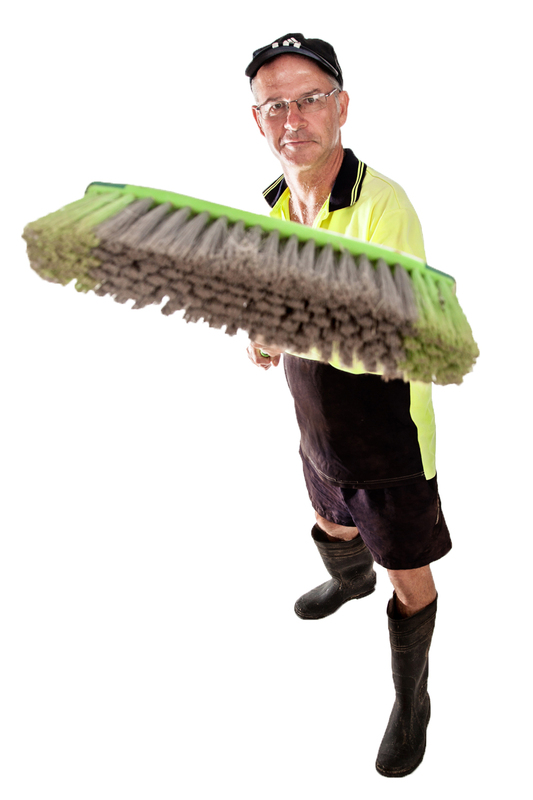 Will now look at using him for his other cleaning services offered through Mt Gravatt Pressure Cleaning. Thanks David you did an awesome job of pressure cleaning our driveway and your customer service was exceptional. You made everything hassle free and easy. Thrilled with the result David has achieved on our pressure cleaning our driveway, around the pool and garden areas. Very professional and friendly. Would definitely recommend! Thanks David! Thank you David for pressure cleaning my house and the horrible black mould and dirt from all my pavers. They aren't the prettiest pavers to begin with but now they are clean and fresh - thank you, thank you, thank you!!! The driveway and concrete areas have been transformed. It was black with grime and mould before. Now shining new. Half outside house clean was fabulous too. Very impressed with result of David's pressure cleaning. Visitors have noticed too. Thanks so much David. Dave came out and cleaned off the black mould that had been growing on our driveway and walkways for years. The concrete is startlingly bright now and looks so clean! Dave and his sidekick were quick, thorough and careful with their pressure cleaning and house washing work, leaving behind a truly remarkable result. 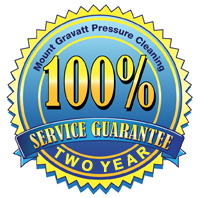 We recommend Mount Gravatt Pressure Cleaning. Thanks, Dave! I could not believe the result that David was able to achieve. Paths, driveway, garden edges, gutter, patio - all came up like new! Thanks very much to David and his team for a great pressure cleaning result. The mission of Mount Gravatt Pressure Cleaning is to provide a long-lasting external clean of your property at a reasonable rate, with a timely and reliable service. To treat you, our valuable customer, as a friend, developing a mutually beneficial business relationship. We want to wash your property!